There's no shortage of occult, paranormal, and esoteric oriented material on the internet. As with any popular subject, there's the surface fluff, which can consist of everything from incoherent ramblings to informative entertainment. There are also well-maintained, intelligently-written, popular sites and blogs most people reading this article are familiar with: Daily Grail, The Anomalist, UFO Mystic, and the like. However, there are also a number of lesser known scholarly journals devoted to occult and esoteric topics, and a few very interesting ones with most or all of their content available online, without subscription or fees—it couldn't be lovelier. Below are recommendations and brief descriptions for three such online esoteric journals. Although scholarly, they are written for a public audience, and not obtuse and intangible as some academic writing can be. All have somewhat of a general focus, yet a wide array of articles, covering quite a breadth and depth of esotericism. All three journals are peer-reviewed publications. Continuing the spirit of the free philosophic inquiry that characterized the Renaissance and the Enlightenment, the Rose+Croix Journal is an on-line scholarly journal published annually…The Rose+Croix Journal is an international, interdisciplinary, transdisciplinary, peer-reviewed online journal that focuses on topics that relate to the sciences, history, the arts, mysticism and spirituality, especially interdisciplinary topics and transdisciplinary inquiries that traverse and lie beyond the limits of different fields of study. These topics may relate to any of the arts and sciences and/or to other emerging fields of human endeavor. Causality, 4-Geons and Dark Energy: A Radical View Of Space-Time by R.E.S. Watson. Esotericism, Art, and Imagination is a uniquely wide- ranging collection of articles by scholars in the field of Western esotericism, focusing on themes of poetry, drama, film, literature, and art. Included here are articles illuminating such diverse topics as the Gnostic fiction of Philip Pullman, alchemical images, the Tarot, surrealism, esoteric films, and much more. This collection reveals the richness and complexity of the intersections between esotericism, artistic creators, and their works. All nine past issues are available in their entirety online, either as downloads or as links. Many articles have print-friendly versions available, for those who prefer to read on paper. Hermetic Melancholia and the Suffering of Androids by Eric G. Wilson, of Wake Forest University. Every issue also contains several book reviews, and there are links to conference papers as well. Esoterica is a publication of Michigan State University Press. 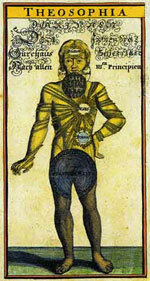 The Esoteric Quarterly is an online journal published as a service of the School for Esoteric Studies. It provides a medium for the dissemination of high-quality articles on esoteric philosophy and its applications to individual and group service and to the expansion of human consciousness. Topics at the Esoteric Quarterly are focused both on Eastern and Western traditions. 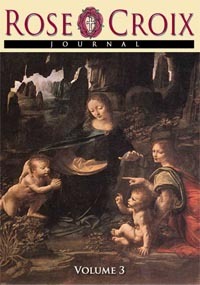 Titles of articles include: Esoteric Perspectives on the Eucharist, by John F. Nash, Zodiac and Ray Cycles in Esoteric Astrology: The Beginning of the Age of Aquarius, by Philip Lindsay, Esoteric Healing in the Orthodox, Roman and Anglican Churches, by John Nash, and Devas, Nature, and Humanity, by Donna Brown and John Nash. Also included in each issue are book reviews. All issues are available as Adobe pdf downloads.